Born January 5th, 1938, Brigadier General Reese L Harrison Jr. enlisted into the Texas Air National Guard as an Airman Basic (E-1) on June 11th, 1963. After basic military training at Lackland Air Force Base he served as what was then known as an "Air Policeman" with what is now the 149th Fighter Wing in San Antonio, Texas. In 1966 he received an appointment as a Second Lieutenant in the Texas Air National Guard and became the commander of his Air Police unit. As a licensed attorney in 1968, then Second Lieutenant Harrison, was appointed as a Captain in the Texas Air National Guard and began twenty five years of service as the Staff Judge Advocate for the 149th Fighter Wing. 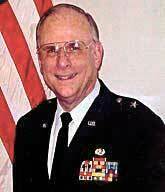 He was promoted to Colonel in 1994 and served as the Staff Judge Advocate for Headquarters Texas Air National Guard until his retirement on January 3rd, 1998. The governor of Texas promoted Colonel Harrison to Brigadier General (Brevet) in 2005. Brigadier General Harrison's service as a Staff Judge Advocate touched every part of the Texas Air National Guard and the Adjutant General's Department. In 1977 he drafted the Rules of Procedure for the Texas Court of Military Appeals. Following passage of the Civil Service Reform Act of 1978, he attended several courses on the new rules applicable to the Civil Service and established a system for review and appeal of Civil Service cases that we still use today. Always concerned for the men and women serving in our armed forces Brigadier General Harrison served on active duty during Desert Shield and Desert Storm, and was assigned as the Deputy Staff Judge Advocate for the 67th Tactical Reconnaissance Wing, at Bergstrom Air Force Base in Austin, Texas. After this assignment he organized, led and managed a community based legal service program for military members, which required coordination with several bar associations, and ultimately increased the personnel readiness of hundreds of military personnel in the San Antonio area. Brigadier General Harrison was assigned as the Judge Advocate General for the Texas Air National Guard Headquarters from 1994 until 1998, where he served as both labor and environmental counsel to the Texas Air National Guard and the Adjutant General's Department. Brigadier General Harrison earned his Bachelor's of Business Administration Degree from Baylor University in 1959 and his Juris Doctorate Degree from Southern Methodist University in 1962. He returned to Baylor and received a Masters of Science in Economics in 1965. He also completed the Squadron Officer's School, Air Command and General Staff College and the Industrial College of the Armed Forces. Brigadier General Harrison's distinguished thirty four year career is embellished by numerous awards including; the Legion of Merit, Meritorious Service Medal, Air Force Commendation Medal, Air Force Achievement Medal, the Lone Star Distinguished Service Medal, Texas Outstanding Service Medal, Texas Medal of Merit, the Adjutant General's Individual Award and the Texas Faithful Service Medal.